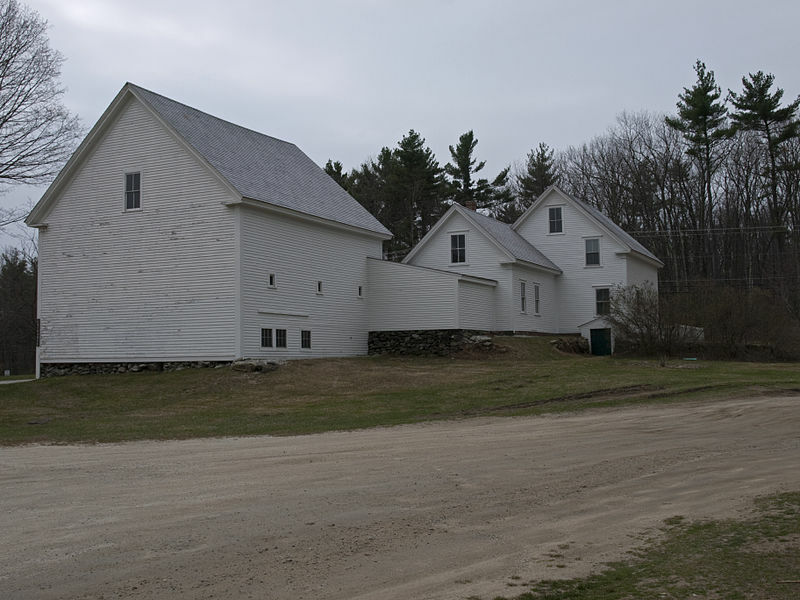 Back side of the Robert Frost Farm in Derry, New Hampshire. 2012 photograph from Wikimedia Commons. In 1899 a doctor concluded that the chronically ill Robert Frost might have tuberculosis, the disease that killed the patient’s father, and advised the twenty-five-year-old to seek work outdoors to improve his health. Frost, a born-and-bred city boy, decided to take up poultry farming, and he and his wife rented part of a country home. Within a year they outgrew this first location, and Frost’s grandfather purchased a twenty-acre farm in Derry, New Hampshire, where Frost raised and bred chickens for the next decade. Still hoping to pursue a literary career someday, he spent late night hours writing poems, which were routinely rejected when he submitted them for publication, and he eventually lit upon the idea of writing pieces for the regional poultry-farming papers. Frost first published three sketches in Eastern Poultryman during the first half of 1903. The editor at the rival paper Farm-Poultry, after getting permission to reprint one of these early pieces, lured the fledgling author away and Frost published nine additional stories in its pages during the next two years. These little-known pieces were never reprinted during Frost’s lifetime, but in 1963, the year he died, Edward Connery Lathem and Lawrence Thompson collected them in Robert Frost: Farm Poultryman. In his 1993 dissertation, Frost scholar Mark Richardson drolly remarks, “In regard to Frost’s writings for poultry journals, it must be acknowledged first that they are certainly the best poultry-stories written by a modern American poet. They are in fact quite good.” In these stories Frost gives his rural neighbors “a subtlety of voice and humor not found [for example] in the somewhat class-bound New England stories of Edith Wharton.” This “voice” would carry over to his early poetry, especially in the voices of the “ordinary folks” (to use Frost’s phrase) who populate North of Boston, his second book of poetry. Note: Minorcas and Leghorns are two breeds of poultry. Scrubs is a term to describe mongrel chickens. The editor sat at his desk. He had been writing about hens all day, and he hadn’t heard a hen since he left home in the suburbs in the morning, and he was tired of it. . . . If you don't see the full story below, click here (PDF) or click here (Google Docs) to read it—free! I read this story and its fine introduction out loud to my wife. We agreed that it is incontestably the best poultry piece by an American poet we've ever read, though Calvin Trillin may have an entry. It's good to know that Frost laid no eggs in his poultry journal productions. Glad you both enjoyed the story. We'll be offering one or two others sometime in the future--including a Christmas story he wrote for one of the journals.